Avoiding tariffs is of upmost importance. European automakers are keeping a close eye on White House policies, as President Trump has been threatening tariffs on vehicles built in Europe. 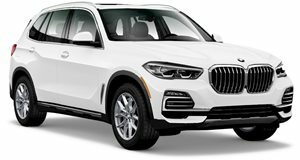 All of the models built at the BMW's US plant in Spartanburg, South Carolina should be exempt but even the US-built cars still rely on imported parts such as transmissions. In order to avoid tariffs on imported transmissions, BMW is currently looking to source them from the US instead of Europe. "We are in discussions with one supplier for a transmission for the US," BMW CEO Harald Krüger told Automotive News. Krüger didn't mention the transmission company by name but all of the models built at Spartanburg, including the X3, X4, X5, and X7, all use ZF's eight-speed automatic. ZF is a German company but it also produces transmissions in the US. If BMW decides to source transmissions from the US, the decision could take a year or longer to implement if ZF doesn't have the immediate capacity available. 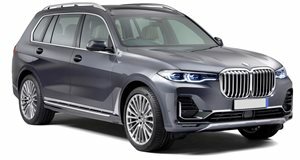 Such a big supplier decision is usually made as a reaction to a company's long-term outlook, so BMW will have to think carefully before reacting to short-term risks such as trade tariffs. ZF's US factory is just 28 miles away from BMW's, making it the perfect location to source transmissions for use in US-built models. BMW exported 234,689 vehicles from Spartanburg in 2018 and ZF reportedly has the capacity to build 800,000 transmissions per year at its US plant, though it also supplies transmissions to Volvo, Land Rover, and Fiat Chrysler. "When you build more than 400,000 vehicles a year, then you can think about whether it's sensible to source a gearbox locally for the USA. Right now, we're in the middle of these deliberations, together with suppliers, and the decision could be made by this summer," Krüger said.